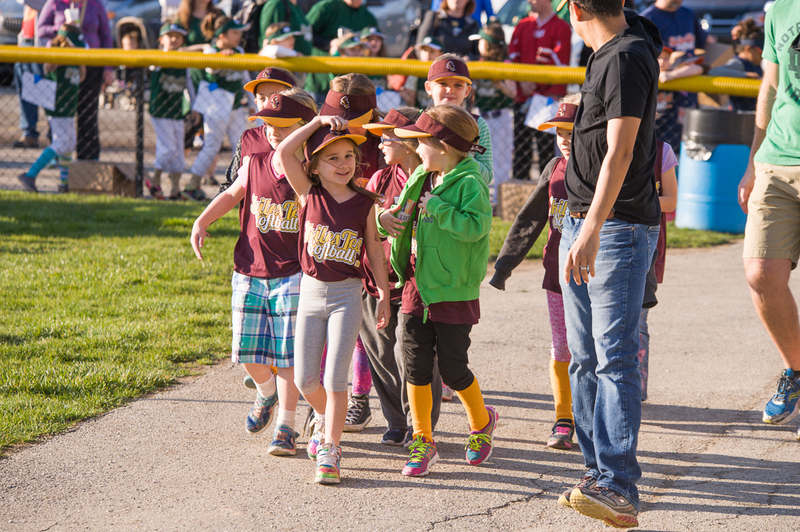 This league is intended for beginners to baseball and softball ages 4-6. This league focuses on the basic fundamentals of the game. Players will play traditional baseball defensive positions and bat from a coach pitch or a tee to ensure everyone is involved in the game. This league focuses on the transition to softball for girls age 7-8. Don't worry, it's not too late to start here if your player hasn't played yet. This coach pitch league encourages players to swing the bat and provide more defensive opportunities. Players baseball skills will start to mature in this league for 7 and 8 year olds. Although mostly boys, this league welcomes girls that are looking for a little more competition. This coach pitch league is fast moving, with a lot of hits, high scores, and close plays. This league is the second level for our softball players where pitching, sliding and base stealing are introduced. While pitching is difficult at first, coach pitch is used for batters facing a lot of balls to encourage them to keep swinging the bat. The game changes a lot here as pitching and stealing are introduced. The game is controlled by limiting lead offs, runs allowed on passed balls, and per inning run limits. Each team is required to pitch both 9 and 10 year olds in each game to encourage player growth. Our top level softball league picks up the pace and provides competitive games. Pitching, bunting, stealing, and maybe some signals are all used as game strategy is put to the test. 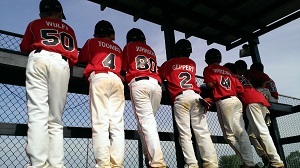 Our top level baseball league is preparing players for Middle School and High School ball. The entire roster will bat, but players will focus more on specific defensive positions. Pitchers will mature as live stealing keeps this game face paced and exciting. 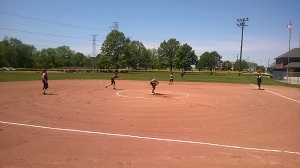 Players excelling in the game and interested in additional softball opportunities can optionally participate in our Spring Alliance teams which play Sunday doubleheaders at various Indianapolis locations. These teams will play up against some of areas leading competition. These games overlap with the Spring recreation season and many players will have an opportunity to continue playing All-Stars in the Summer. All-Star teams will be formed by invitation of players participating in the Spring recreational season who are interesting in playing Summer Rec-Travel Tournaments. Indianapolis offers an abundance of competitive tournaments less than an hour away. Tournaments are traditionally played on weekends, with multiple games expected on Saturday and Sunday, pool play games are sometimes held on weekday evenings. Team coaches select the team, manage the line ups, and select the tournaments. Additional fees apply for participating players.